It isn’t uncommon to come across a free item with a GPU purchase. Usually you’ll get a free game, but this month Nvidia is trying something a bit different, instead bundling some of its Pascal graphics cards with 120GB and 240GB SSDs from Kingston. 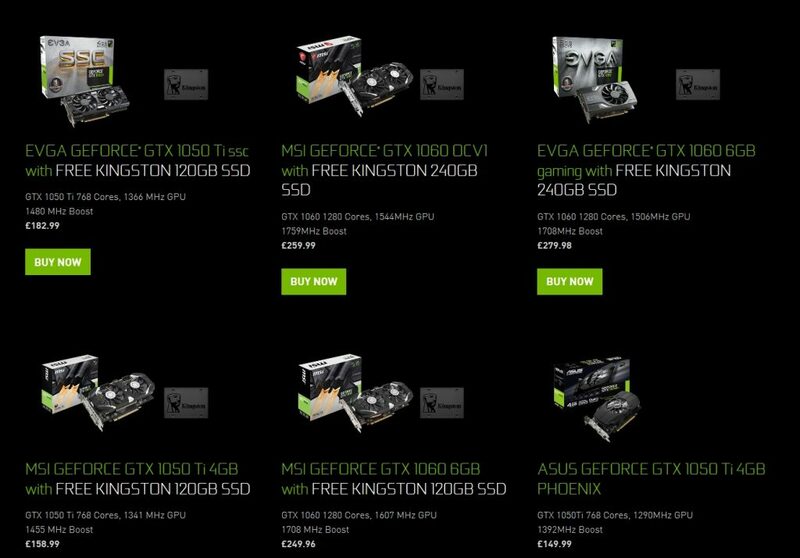 Nvidia kicked off the GPU/SSD bundle in the UK and Europe earlier this week. Essentially, if you pick up a GTX 1050Ti, you’ll get a free 120GB SSD from Kingston and if you shell out for a GTX 1060, you’ll get a 240GB SSD. Like always though, there are some caveats involved. 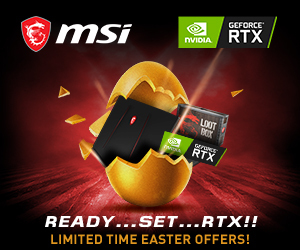 It seems that only certain EVGA and MSI graphics cards are included in this promotion for the time being. You’ll also need to be sure you are buying from a participating retailer, which currently includes Nvidia’s own site, Ebuyer and Scan. You’ll be looking at around £260 for a GTX 1060 with a 240GB SSD, which isn’t a bad deal. Perhaps these bundles could even be a sign that Nvidia is in ‘stock clearing’ mode, as new GPUs are rumoured to be just a short while away. 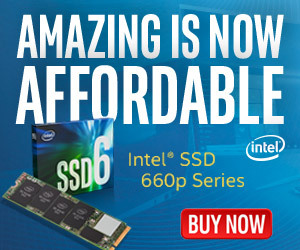 KitGuru Says: If you are in the market for a new mid-range GPU and an SSD, well now is as good a time as ever to splash the cash. Do you think we should see more GPU and PC hardware bundles in future? Next Wooting ONE – Gradual movement on a keyboard, just like a controller joystick!